Very popular for LCD Screens Projectors Etc. 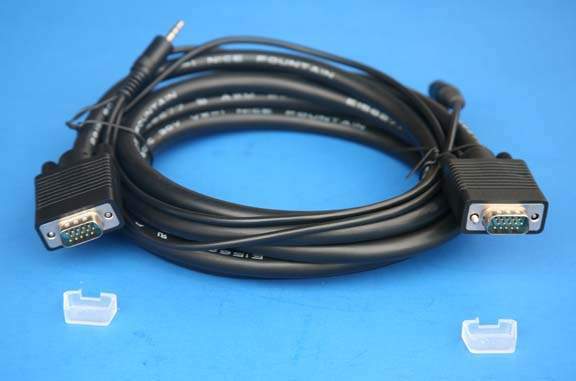 Super VGA 10Ft M-M. Video Cable Used to Attach Hi-Resoultion Monitors. This cable has seperately shielded coax runs built into it to cut down on signal loss. Guaranteed NO SHADOW !!!!!! Excellent Low Loss Cables works in all VGA and Higher Resolutions. Tested at PCCABLES.COM INC to 1600x1200 Res.